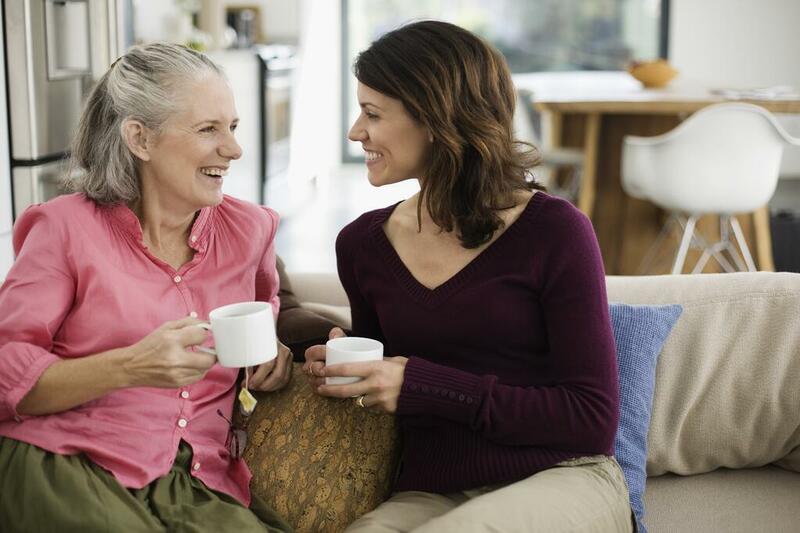 Home Resources Can You Afford to Move Mom In? Many families avoid having tough talks about what will happen as parents age. When the topic does come up, you may find there’s an unspoken assumption that you’ll move mom or dad in with you at some point. But when the time comes to make decisions about your parents’ care, reality hits and the questions begin: Do I have enough space? Can I afford it? Do I have time? Will I be a good caregiver? How will our relationship change? How will I manage caring for a parent and my children? These are big questions. And, it’s likely that your parent has concerns of her own. Will I be a burden? Will I be safe? Will I lose my independence? Will I have enough to do? Will I be expected to be a 24-hour babysitter? It is important to bring these concerns and questions out in the open before a health event forces a hasty decision. By considering the financial and emotional costs ahead of time, both you and your parent will be in a better position to make an informed—rather than purely emotional—decision. Here are tips to keep in mind. About 20% of Americans provide an average of $12,000 a year to a parent and/or an adult child, according to a 2015 Ameritrade study. Costs go up for members of the sandwich generation. More than 25 percent are contributing more than $250 a month to their adult child’s expenses; 14 percent give more than $500, according to a 2015 study from American Consumer Credit Counseling. As a senior financial planner with Syverson Strege and Co., Walt Mozdzer, is used to advising clients about housing and financial decisions. But a few years ago, he found himself in his clients’ position: His mother was struggling with medical problems. It was complicated by a “souring relationship” with his sister-in-law, with whom his mother lived in the small town of Shady Valley, Tennessee. Mozdzer and his wife opted to move his mother into their home in Altoona, Iowa. But, his mother couldn’t manage the stairs in their two-story home, so Mozdzer spent hundreds of dollars modifying the space. “Our preparation costs included tearing up our dining room to put in a hospital bed and a modular shower downstairs,” Mozdzer says. Mozdzer’s mother paid him rent every month. But because she liked the house to be much warmer than he was used to, the family’s utility bills grew—as did their grocery bills, with an additional person at the table. To give his wife some alone time, he also took his mother to adult day care two days a week, which he says cost several hundred dollars per month. “There are other hidden costs in caregiving, such as time spent transporting your parent to doctor appointments and to the local big box store for greeting cards, yarn, postage stamps and so on,” he says. To figure out what the added expenses may be, start by learning about all the costs involved, including modifications to the home, utilities, food, transportation and in-home care when you can’t be there or need a break from caregiving. It’s also important to think about how much a parent can contribute to the costs, how long you’ll be living together and how long the situation will be financially feasible. Consider consulting with a financial counselor who can help you weigh your options and identify available resources. Moving a parent into your home isn’t just a financial decision. There are a number of emotions involved. On the positive side, grandparents who live with their adult children have a chance to bond—with their own children and their grandchildren. "My own maternal grandmother and paternal grandfather lived with us for years while I was growing up," Mozdzer says, adding that he enjoyed a closer relationship with them than he would have otherwise. Sharing a home can be one way for aging parents to stay engaged, but a move can also create isolation. They may miss their neighbors and friends. And, caregivers may see their own social connections diminish as they spend more time each day caring for their parents. A growing number of studies cite isolation as a contributor to memory loss, depression, heart disease and more. For some caregivers—and parents—the loss of their former social circles or habits is too high a cost. Mozdzer’s own concerns about his family’s living arrangement became about safety. “I realized that if my mother were to fall when I wasn’t home, my wife wouldn’t have been able to pick her back up,” he says. After four months of sharing his home with his mother, Mozdzer says he and his family revised their decision and moved her into a senior living community just five minutes away, where she lived until she died. When they calculated all their costs, senior housing became a more affordable and enjoyable choice than the Mozdzers had expected. “There was an adjustment period, but she loved it and made some great friends,” he says.